Using Krystal Hartley's newest collab kit "Autumn Reflections". The only part that isn't from the kit is the "Happy Birthday" wordart that comes from Katie Pertiet's "Another Year Older" template. This is beautiful - I especially like the color scheme! Great layout. 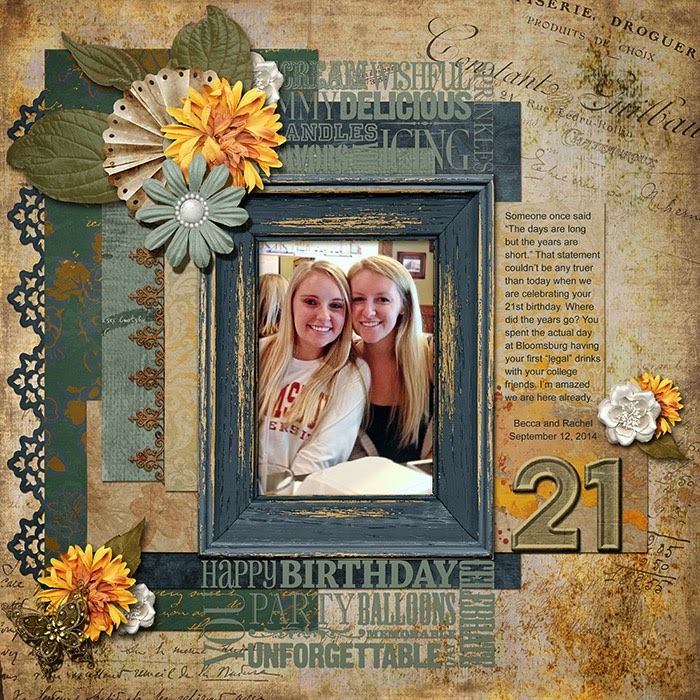 Love the punched border. Love this page....such gorgeous colours...and those flowers look 'real'. I so agree with your 'quote' as well [where does the time go??]. Those words are so very true. TTO turns 20 on his next birthday. I can't believe it was about this time 20 years ago I found out I was having a boy. That quote is so true! Your girls are just beautiful, and so is your layout! This is such a lovely layout! The colors go well with each other - I especially like the yellow flowers. The frame looks real! Coming Soon - Life Tunes 5!